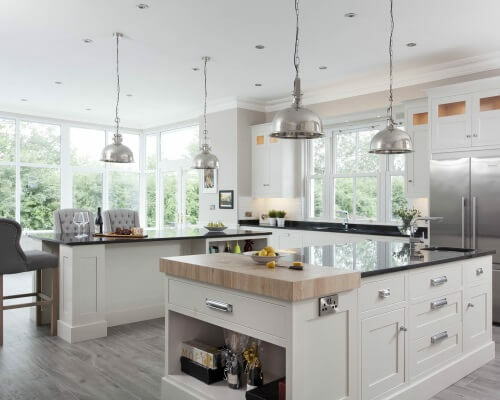 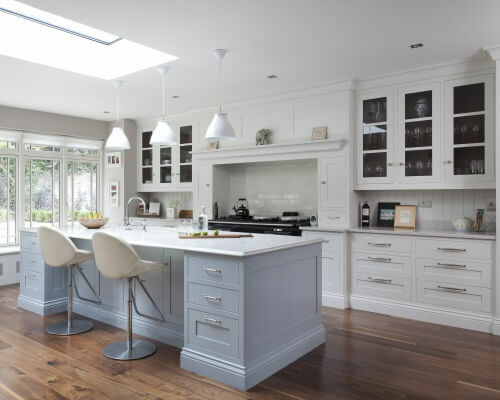 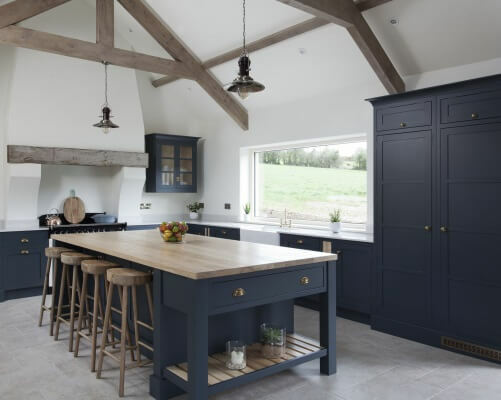 This kitchen was designed to sit comfortably in a 250 year old former rectory. 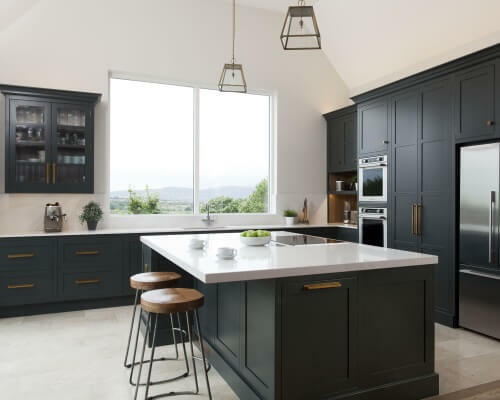 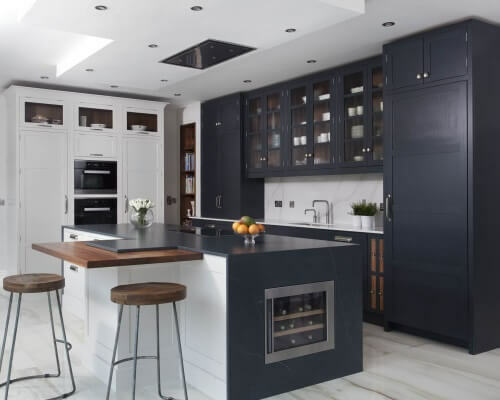 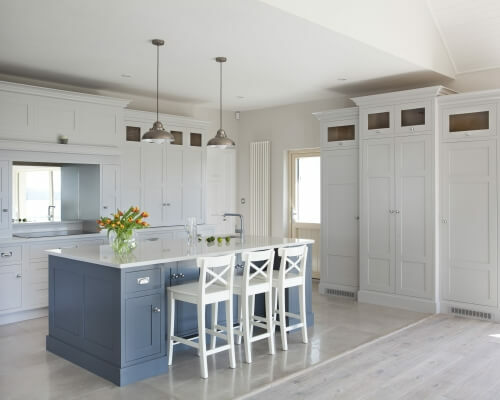 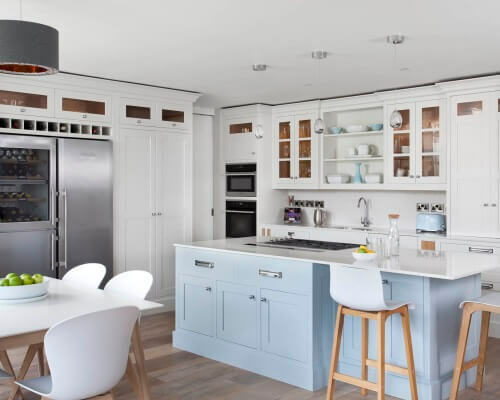 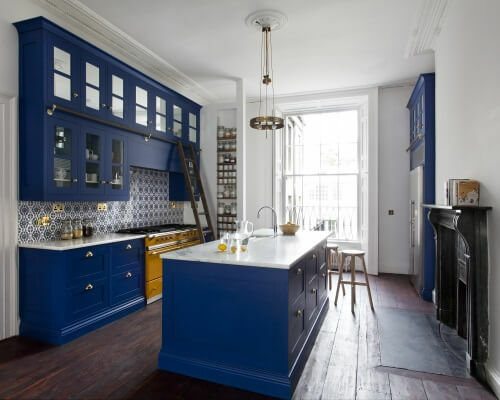 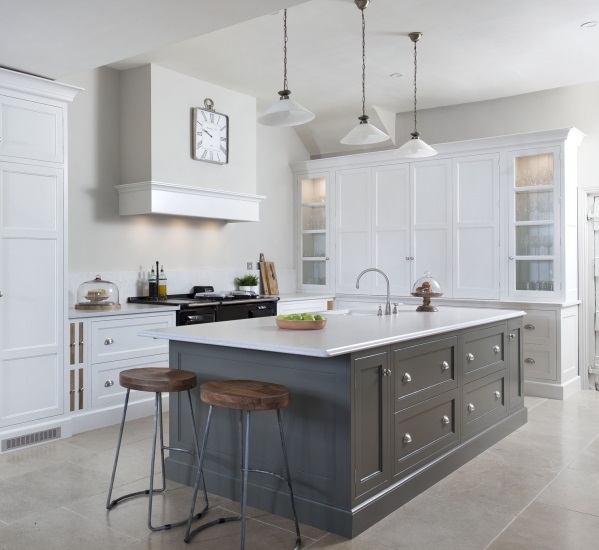 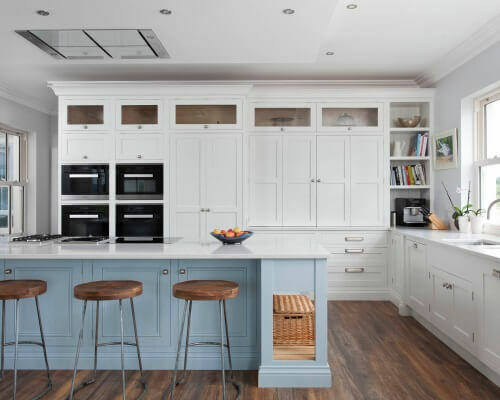 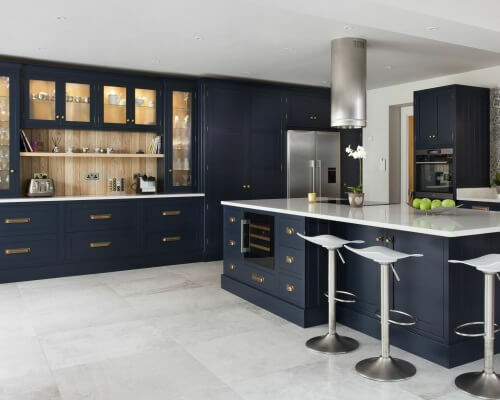 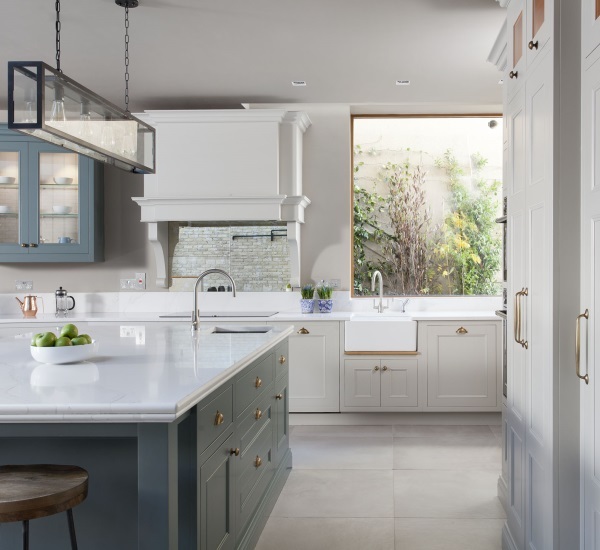 It features handpainted cabinetry in Farrow and Ball Downpipe and Silestone Lyra countertops. 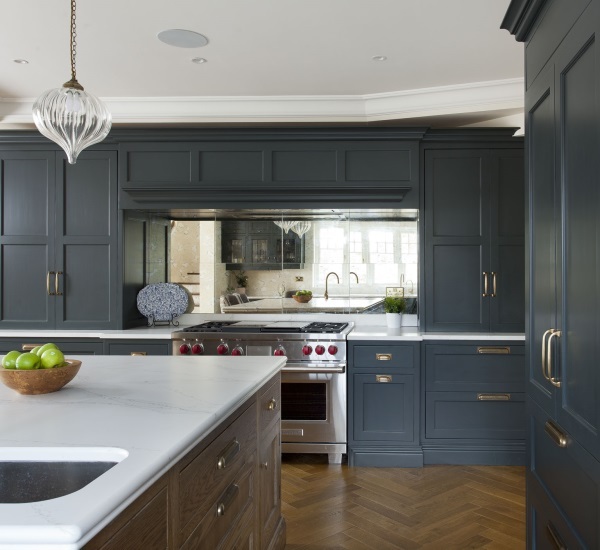 A solid oak worktop on the island has been treated to give a silver, aged finish. 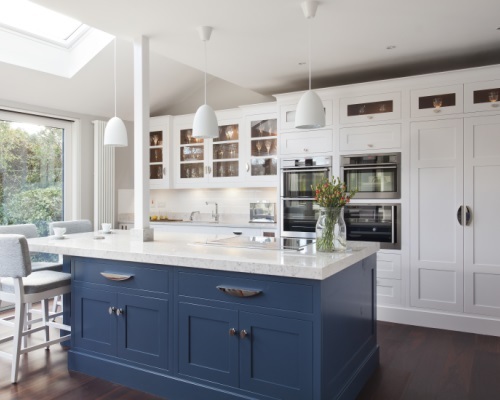 This is an understated design and works very well with the proportions and feel of the room. 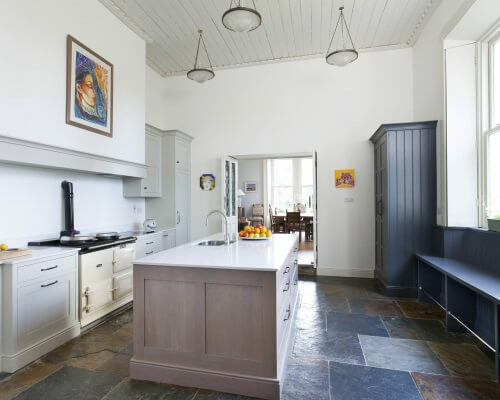 The wall panelling has been painted in Dovetale, again a Farrow and Ball colour.